"This vivid account pops with fascinating detail and reads like fiction. Wonderfully, it isn't. " Elle She understood women. She understood beauty. And she started a revolution. Helena Rubinstein was born into a poor Polish family at the end of the nineteenth century; by the time of her death in 1965 she had built a cosmetics empire that spanned the world. Her scientific approach to beauty was an instant sensation. 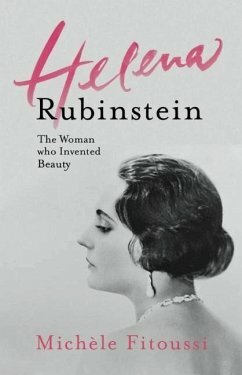 Women couldn't get enough of her innovative advice on skincare, and her beauty products were constantly sold out. This is her amazing life story. Michèle Fitoussi is a journalist and author. Michèle Fitoussi: Michèle Fitoussi was born in Tunisia. She is a journalist and author. Kate Bignold: Kate Bignold read French and German at Manchester University. She lives in southwest England with her two children. Lakshmi Ramakrishnan Iyer: Lakshmi Ramakrishnan Iyer is a translator from French and Italian into English. She lives in southwest France.